A reverent ode to the 19th century painter Vincent van Gogh. 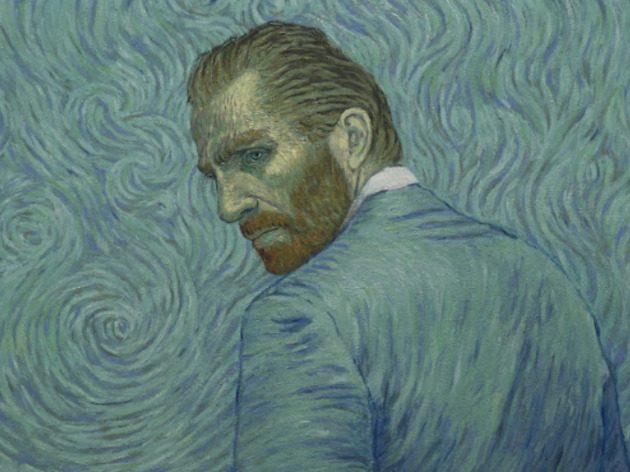 Part mystery, part visual experiment, ‘Loving Vincent’ is a reverent ode to the 19th century painter Vincent van Gogh. ‘The world’s first fully painted film’, it’s a beautifully animated affair inspired by his greatest works of art, from Starry Night to Sunflowers. Shot with actors then painted over frame by frame, Dorota Kobiela’s film is a real one-off, though the constantly-shifting imagery recalls ‘Waking Life’ and ‘A Scanner Darkly’. Douglas Booth stars as Armand Rolin, the man charged with delivering a letter to Vincent’s brother after the artist died of gun-shot wounds that were supposedly self-inflicted. The truth appears to be murkier as Rolin starts to play detective and interrogates Van Gough’s cohorts, but the procedural is plodding and Booth’s delivery is disappointingly bland after his stand-out turn in ‘The Limehouse Golem’. Eleanor Tomlinson enlivens proceedings as an innkeeper’s daughter, but even with Chris O’Dowd, Helen McCrory, Aidan Turner and Saorise Ronan on board, this remains remarkable only for its technical prowess. The imagery may distance you from the narrative but visually, this does its inspiration proud. 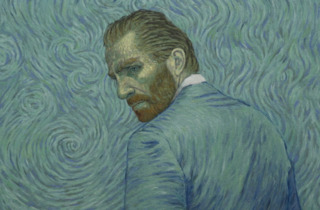 A few actors have been skillfully chosen to pose for some of Van Gogh's most familiar portraits. This works very well, but the animation is a bit hit & miss (rather thin & undeveloped in parts). The narrative is interesting, but the poor dialogue, and general stodgyness of the project lost my attention. It all felt a bit stretched at 90 odd minutes. I was really pleased I saw this. I found Loving Vincent highly original, and visually stunning. Even the credits at the end were original. Well worth seeing, and I'll probably see it again. Four stars.